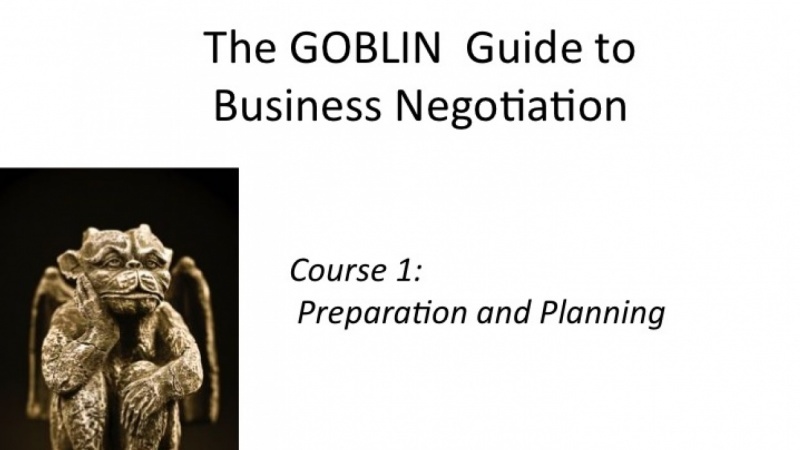 Whether you are a competitive “shark” or a collaborating bridge-builder, this course will teach you to prep and plan for business negotiations. Improve your performance with better tactics. This course will show you how to align your negotiation plan with your own personality and situation. Most of all, you will gain the confidence and knowledge to sit down with any counter-party and handle yourself like an experienced professional. Participants will complete a simple but powerful worksheet that sketches out your strategic goals, bottom line "walk-away" point, and key tactical deal points. I teach vital business skills to busy people FAST. Leaders need to learn, but have no time for thick books or detailed lectures. I am an experienced trainer and teacher. I've taught negotiation, communication, and strategy to a wide range of students - from novice undergrads to seasoned professionals. Successful people want tools -- not theory.